The book is currently on sale at B&N, but Amazon let’s you have a look inside. 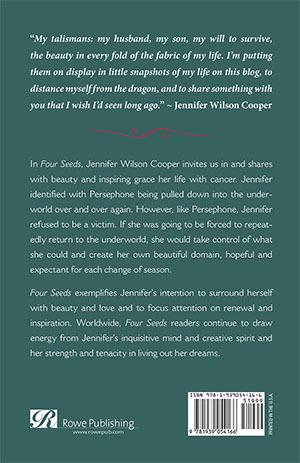 If you are moved to, please leave a comment, review, or your thoughts about Jennifer’s writing or Four Seeds on Amazon. You don’t have to have purchased the book from Amazon to do so. 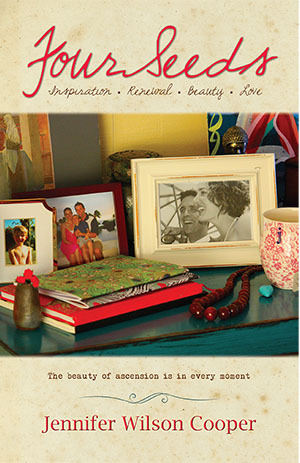 Dennis – My copy arrived yesterday, and I’ve spent this afternoon with it, and Jennifer. Thank you, Mari & Leigh for this gift. Big hugs to you and little J.